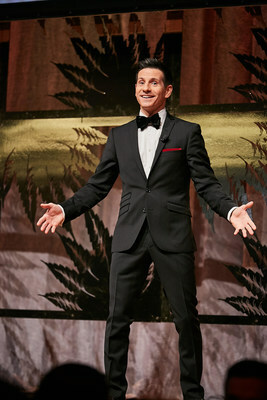 TORONTO, Nov. 29, 2018 /CNW/ - Lift & Co. Corp. ("Lift & Co.") (TSXV: LIFT) tonight announced the winners of the 2018 Canadian Cannabis Awards (the "CCAs") at a black-tie gala attended by nearly 600 industry leaders, and hosted by Rick Campanelli at the historic Carlu in downtown Toronto. The CCAs is synonymous with excellence in Canada's cannabis industry, and this year is the world's first awards for a federally regulated recreational cannabis market. CCAs nominees and winners are the products, companies and leaders that have shaped cannabis in Canada in 2018. "Lift & Co. as a platform exists to foster and strengthen connections in our industry, and educate and inform Canadians about cannabis," said Matei Olaru, CEO, Lift & Co. "The CCAs underscore this strategy by providing a vital mark of distinction for both winners and nominees, allowing them to demonstrate value and quality back to Canadians, while emboldening essential trust in our burgeoning world-class industry. The almost 50 per cent increase in public votes this year is a testament to the level of public awareness and standard of excellence the CCAs represent today." 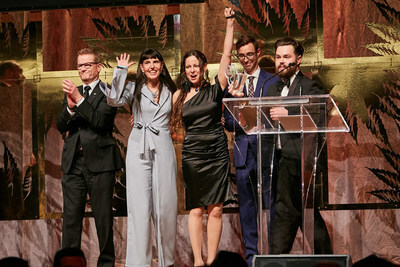 As voted by Canadians, CannTrust dominated the Flowers, Oils and Licensed Producers category with seven total wins including Licensed Producer of the Year and Top LP Customer Service, followed by Canopy Growth brands Tweed, Leafs by Snoop (LBS), and Spectrum Cannabis taking home a total of four awards in the same product category. See below for a full list of winners. Reviews matter! Lift.co now hosts over 75,000 reviews of products and producers, providing Canadians a resource to explore and understand cannabis. This year, the Top Reviewed Product of the Year goes to Ruxton (3) Sour OG – Broken Coast Cannabis, and Top Reviewed Licensed Producer of the Year is awarded to Canna Farms. For the first time this year, Lift & Co. licensed the Canadian Cannabis Awards brand, and entered an agreement with cannabis curators, AHLOT, for a special edition cannabis multi-pack featuring five winning strains from the 2018 Canadian Cannabis Awards. Distribution and additional details to be announced. The majority of product, producer and influencer awards are selected by the public, and this year saw a record-number of Canadians have their say with over 17,000 votes between September 28, and October 26, 2018. A committee of judges determine winners in 18 categories, and five select awards are determined by Lift & Co.
Special award categories each have their own methodology. This prestigious award weighs votes from all licensed producer categories, including Top Customer Service, Employer of the Year, and all Top Strain awards to determine the licensed producer that rules them all. Chosen by Lift & Co. based on the overall volume and quality on the Lift.co website. Chosen by Lift & Co. based on the overall volume and quality of reviews on the Lift.co website. Chosen by Lift & Co. based on the volume and quality of personal contributions to the Lift.co website. Selected by the Company's own employees. The winner is the top-rated employer as determined by an employer survey deployed and reviewed by Cannabis at Work. Jonathan Page, Chief Science Officer, Aurora Cannabis Inc.
dosist for "Not Available in Canada"
The RoomMate - BC Northern Lights – Aurora Cannabis Inc. Lift & Co. (TSXV: LIFT) is a cannabis-focused technology and media company that monetizes a platform of advertising solutions, events, and data insights to enable cannabis businesses to better understand, target and ultimately monetize cannabis consumers. Lift & Co. operates a leading product-comparison resource of federally regulated cannabis products; provides customized marketing solutions and data-backed insights into consumer and product trends; and connects businesses and consumers through its digital platform, and at its leading events, the Retail Tradeshows, the Lift & Co. Expos and the Canadian Cannabis Awards. The Lift & Co. Cannabis Retail Training Certification, developed in an exclusive partnership with MADD Canada, is available to both government and private clients. Learn more at lift.co.